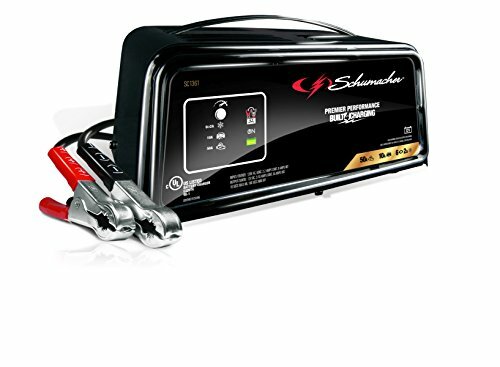 Schumacher's SC1361 2/10/50A 12V DOE Handheld Battery Charger is designed for engine starting, charging and advanced diagnostic testing. Compatible with standard, AGM, gel, and deep-cycle batteries. The LED indicators and button controls make it easy to read and use. Connect it and forget it, all season long.